RWAMREC delivered over ten topics on gender, masculinities and Gender Based Violence (GBV). A pre-test and post-test carried out indicated that there were variations in the way the participants understood gender, GBV and masculinities—where majority to a big extent never understood the concepts. At the end of the first day of training, Anastase a member of WE GOT YOUR BACK CLUB, expressed his appreciation for the training “WE GOT YOUR BACK CLUB and myself would like to present to you and RWAMREC our deeper thanks for the important training on Gender promotion and Men Engage approach. We have gained knowledge and skills full of love, advice and passion. We promise to use this knowledge in our club and for sure we will be successful and fruitful to others” the SMS sent to Dominique, one their facilitators said. The objective of the training was to build skills and knowledge of WE GOT YOUR BACK-Club members in gender equality promotion, Gender based violence prevention, MenEngage approach and promotion of positive masculinity. 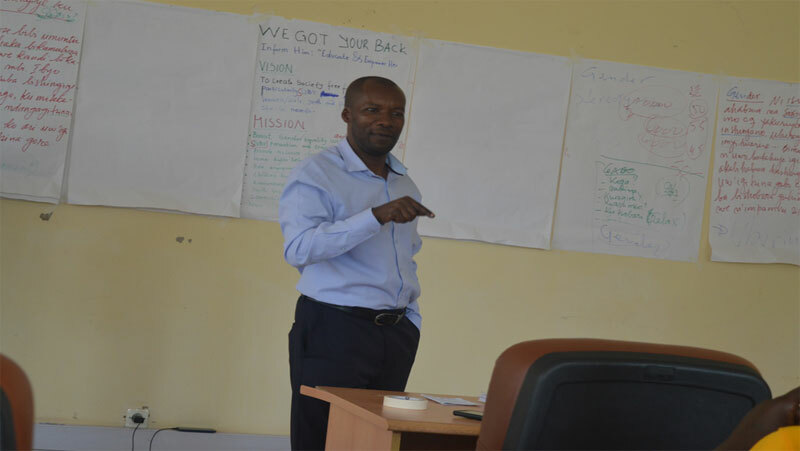 It took place from 21st to 22nd February 2019 and two Facilitators from RWAMREC conducted the Training. 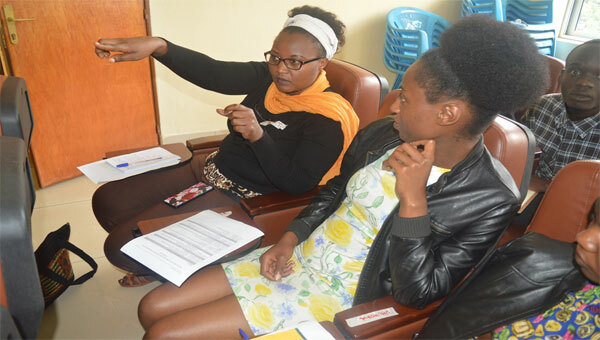 Prevention+ is an International programme and in Rwanda it is implemented in Karongi District, aiming at addressing gender-based violence and to create positive changes within the community through: existing Government structures like Parents Evening Dialogue Committees. Its activities include conducting dialogues on GBV prevention and tackling the root causes of GBV in the communities. RWAMREC is an organization in Rwanda that promotes MenEngage approach by building the capacity of other civil society organizations, Government institutions, community and individuals on GBV prevention and engaging men and boys.